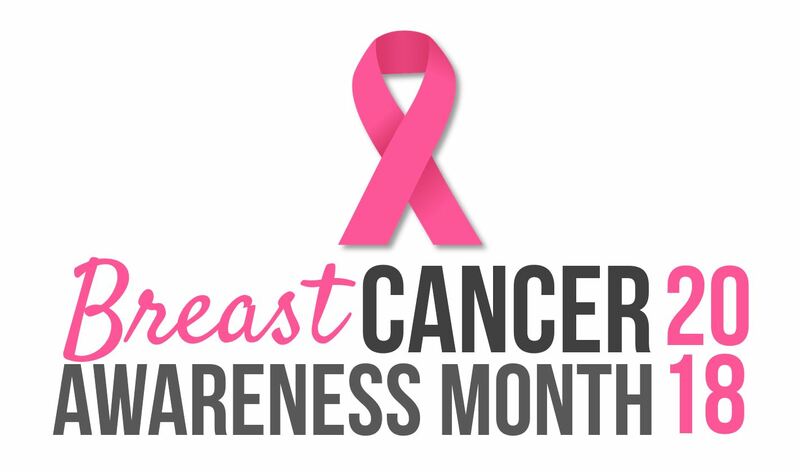 The month of October is Breast Cancer Awareness Month. Breast cancer is the second most common cancer in the world and is the most common cancer among women. Read about the worldwide status of breast cancer and some of the ways to approach the growing problem of this disease. When detected early, there is a high potential for cure of breast cancer. However, cancers in low and middle-income countries (LMICs) are usually diagnosed at stage 3 or 4, making them more difficult to treat and often resulting in death. This new data reflects the familiar trend of incidence and mortality in LMICs. While incidence of cancer is lower than most high-income countries (HICs), there is a higher mortality rate. How Can These Factors Be Addressed? The peak age of onset for breast cancer in LMICs is lower than in HICs. 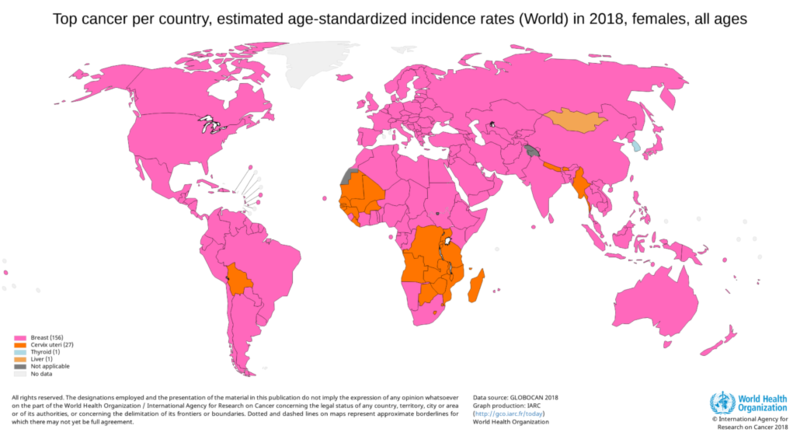 This shows that the disease is different in LMICs (there are more cases of TPN breast cancer in younger patients) so the data on breast cancer in HICs cannot be used when comparing to breast cancer occurrence in LMICs. The need for relevant data is very apparent, as such, it is critical that multinational clinical and epidemiological data on these young women be collected. This data can then be studied and used to tailor interventions in LMICs. Regular tumor board meetings are a common practice among physicians in HICs but may not be so in LMICs. The goal of online tumor board meetings is to connect physicians from LMICs with U.S. based or local senior cancer experts to review and recommend the best treatment plan for the patient. Not only does this benefit the individual patient and their family, they also serve as an educational tool for doctors and their institutions, which in turn improves clinical care. Fragmented health care systems in LMICs often make it difficult for patients to receive proper, timely care. Many patients either cannot access cancer care, or experience long delays between screening, diagnosis, and treatment. Patient navigation programs aim to decrease delays and help patients get necessary treatment by guiding patients through their complex health care systems. Patient Navigators (PN), who are typically drawn from existing social workers, assist patients in a variety of ways, such as scheduling appointments, explaining paperwork, following up with patients to ensure that they make it to their appointments, etc. Collectively while this data cannot be compared to previous GLOBOCAN data, it still demonstrates the need for interventions in LMICs aimed at preventing and controlling breast cancer. Data collection, tumor board meetings, and patient navigation programs are some of the ways that have already proven to be successful in helping improve outcomes for women in LMICs.